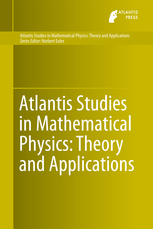 The aim of this book series is to publish high-quality monographs in mathematical physics of both theoretical and applied subjects. The main topics are listed below. We expect the books of this series to reflect the current state of the art of some of the popular ongoing research topics in mathematical physics. In addition, we aim to focus on books that make some of the abstract theories and methodologies accessible to applied scientists, such as biologists and engineers, including graduate students in the subjects.